Jaitley spent a little over an hour in the Rajya Sabha, voted in the deputy chairman election and felicitated newly elected deputy chairman Harivansh Singh. Out of action for more than three months, senior BJP leader Arun Jaitley made his first public appearance on Thursday after he underwent a kidney transplant surgery in May. He spent a little over an hour in the Rajya Sabha, voted in the deputy chairman election and felicitated newly elected deputy chairman Harivansh. Jaitley walked into the House minutes before 11 am to loud thumping of desks by members across the party lines. Some members tried to walk up to him to shake hands and inquire about his health, but Parliamentary Affairs Minister Ananth Kumar and his deputy Vijay Goel dissuaded them to avoid any infection. Jaitley greeted members with from his seat, gesticulating that he was well. After the election, Jaitley got up and along with Kumar and Goel accompanied Harivansh to the seat designated for the Deputy Chairman. Around the same time, PM Narendra Modi walked into the House. He sat beside Jaitley. In his speech felicitating Harivansh, Jaitley said he had never seen him making personal attacks on anyone and hoped as Deputy Chairman he would further better the discourse in the House. 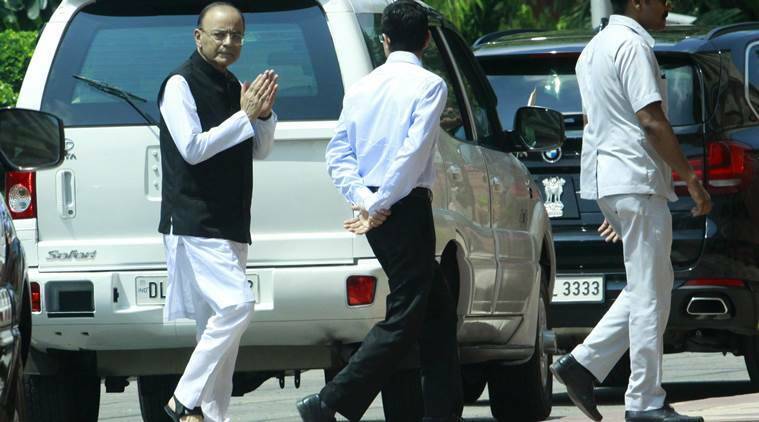 PM Modi and Azad and several MPs welcomed the return of Jaitley, who left the House minutes after 12 pm.